The 37th Infantry Division was a unit of the United States Army in World War I and World War II. It was a National Guard division from Ohio, nicknamed the "Buckeye Division". Today, its lineage is continued through the 37th Infantry Brigade Combat Team, with battalions from Ohio, Michigan, and South Carolina. Commanders: Maj. Gen. Robert S. Beightler commanded the Division during its entire period of Federal service in World War II. Inactivated: 18 December 1945 at Camp Anza, California. 37th Infantry Division troops carry weapons and ammunition forward, 5 August 1943 in New Georgia. The 37th Infantry Division arrived in the Fiji Islands in June 1942 to fortify the islands against possible invasion. The division continued its training on the islands. With the end of ground fighting on Guadalcanal, the division moved to that island in April 1943, continued training, and staged for the Munda campaign. Two battalions joined the Marine Raiders on New Georgia, 5 July 1943, while the remainder of the division landed, 22 July, and assisted the 43d Infantry Division in taking Munda airfield in heavy fighting. After mopping up on New Georgia, the division returned to Guadalcanal, 9 September 1943, for rest and rehabilitation. The division's next assignment was Bougainville as part of the I Marine Amphibious Corps. Landing between 8 and 19 November 1943, the 37th Division expanded the western beachhead sector, constructed roads and bridges, and engaged in extensive patrol activity. 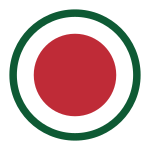 On 15 December 1943, IMAC was relieved by the XIV Corps, to which the 37th Division was then assigned. In March 1944, two Japanese divisions made eight major attacks, but division lines held. In April patrols cleared the Laruma Valley area of major enemy units. The division remained on Bougainville and trained for the Luzon campaign. Landing with the Sixth Army on the beaches of Lingayen Gulf, 9 January 1945, the 37th raced inland against slight resistance to Clark Field and Fort Stotsenburg where fierce resistance delayed capture of those objectives until 31 January. The division continued to drive to Manila against small delaying forces, and entered the city's outskirts, 4 February. Upon crossing the Pasig River, it ran into bitter Japanese opposition. By heavy street fighting, American and Filipino troops cleared the city by 3 March 1945. After garrison duty in Manila, 5–26 March, the division shifted to the hills of Northwest Luzon, where heavy fighting culminated in the capture of Baguio, 26 April with aided Filipino troops under the 66th Infantry Regiment, Philippine Commonwealth Army, USAFIP-NL. Rest and rehabilitation during May were followed by action in June in the Cagayan Valley against deteriorating Japanese resistance. With the end of hostilities, 15 August, the division was concerned with the collection and processing of prisoners of war, leaving November 1945 for the States and demobilization. Major General Robert Beightler was one of only eleven generals who commanded their divisions for the entire war, and was the only National Guard general to do so. The division was reorganized in the Ohio Army National Guard in 1946. It served under federal control from 1952 to 1954 at Camp Polk, Louisiana. Although the division was not sent to Korea, nearly every soldier was as an individual replacement. The 37th went through a number of reorganizations from 1959 until it was disbanded on 15 February 1968. The bulk of the division's combat units became the 73rd Infantry Brigade, 38th Infantry Division with the remaining becoming the 16th Engineer Brigade and other combat support units. In 1977, the 73d Brigade was released from assignment to the 38th ID and was redesignated the 73rd Infantry Brigade, a separate brigade. During the draw down of forces after the Cold War, units of the 73rd and the 107th Armored Cavalry Regiment consolidated to form the 37th Brigade, 28th Infantry Division. A year later, the brigade was reunited with the 38th Infantry Division. On 1 September 2007, 37th Infantry Brigade Combat Team (IBCT) was activated under the Army's modular plan. The shoulder sleeve insignia of the 37th IBCT is heavily based on that of the 37th Infantry Division and many units that are part of the 37th IBCT, served in the 37th Infantry Division. George Sweigert, inventor of the cordless phone, veteran of the 37th Division, participated in action at Guadacanal and the Solomon Islands. Sweigert was assigned to the 145th Headquarters Company as a radioman and intelligence scout. ^ Video: Aircraft Carrier is Named for President Roosevelt etc. (1945). Universal Newsreel. 1945. Retrieved 20 February 2012. ^ Order of Battle, p. 374. United States Army Center of Military History, Force Structure and Unit History Branch (29 May 2008). "37th Infantry Division". Army Almanac: A Book of Facts Concerning the Army of the United States. U.S. Government Printing Office. Retrieved 5 August 2008.